Paul Ashmead was a talented rugby footballer that played blindside and openside wing forward and occasionally at No 8. Paul Michael Ashmead was born on 3rd January 1966 in Gloucester. He was educated at Longlevens Secondary Modern School and played for local clubs Gloucester Old Boys and Coney Hill before moving to Kingsholm. Paul played for Gloucester from 1986 to 1995 making 157 1st XV appearances, scoring 64 1st XV tries. Paul had a natural try scoring ability and once scored four tries in a 1st XV game against Coventry and six in a United game against Bedford. One season Paul was even on course to beat the club’s record for most tries scored by a forward in one season still held to date by (Mike Teague 21 tries). Paul had reached 14 tries with half the season still remaining but he lost his place in the side and his chance to challenge the record. After outstanding performances in 1991 for Gloucester against an England XV and Irish Presidents XV to celebrate Gloucester’s 100 Years at Kingsholm Paul was selected to play for the Southwest Division. It was during this period that he was unlucky not to receive any International recognition. He was part of a successful Gloucester Squad that toured South Africa in 1994 winning 3 out of 4 matches. He said to pull on a Gloucester jersey was always a privilege and great honour. 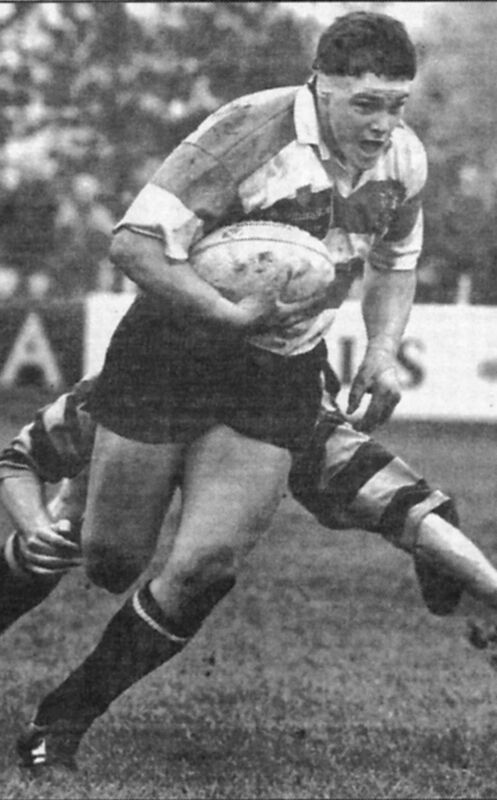 After 10 Seasons at Kingsholm, it was towards the end of his playing career in 1995 that he moved to Rugby Lions RFC but a persistent ankle injury forced him to retire from the game in 1997.